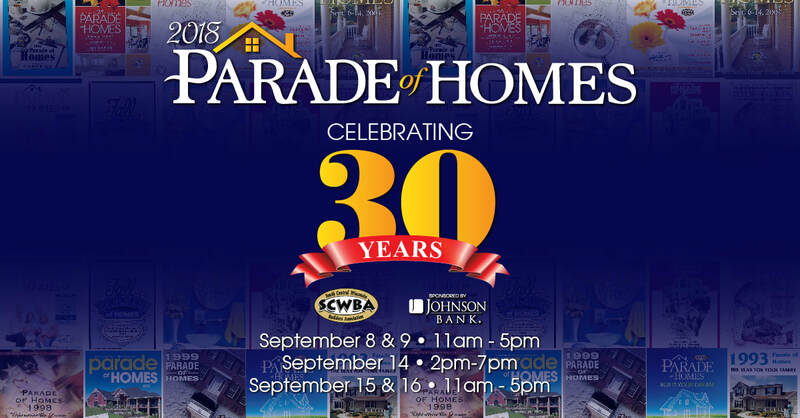 Welcome to the 2018 Parade of Homes! We would like to thank our 2018 EVENT SPONSOR, Johnson Bank! We are excited to showcase 10 NEW HOMES (on the map in BLUE), 1 REMODELED HOME (on the map in RED), and 2 OUTDOOR LIVING SPACES (on the map in GREEN) at this year's event. Click on any address below for more information. Click on the button below for a list of directions that you can follow. You can either follow them on your phone or print them out for your convenience. NOTE: We have noticed a big discrepancy between various mapping/direction sites (Google, Bing, etc.). When entering an address in a mapping/direction site, please use caution! Click on the link to the right to purchase your ticket NOW! There is no need to purchase tickets in advance. You may purchase them the day of the event at ANY parade home location! Contact Jennifer Schieve, Executive Officer at scwbaoffice@gmail.com.